When I saw Hidden Figures, two thoughts entered my mind. I experienced gratitude, and I felt shock. To further explain, Hidden Figures is receiving many stellar as well as controversial reviews. 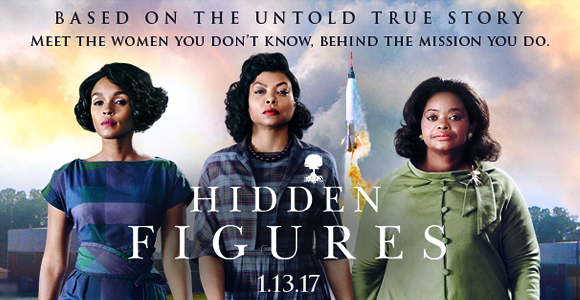 From its Oscar talk to its soundtrack discussions, Hidden Figures is a movie that is stirring up major conversations in the entertainment and science worlds. And it is a film that I personally felt compelled to review. For I am a real life "hidden figure." 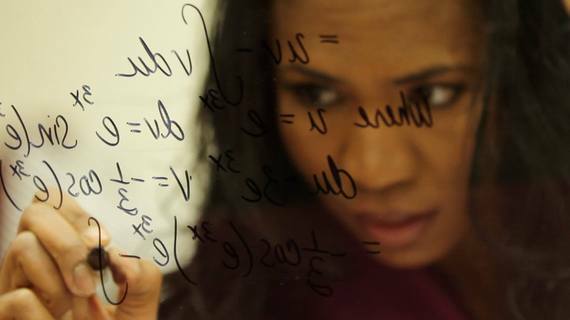 I am a real female rocket scientist of color. While watching the film, I was simultaneously inspired and surprised by what I relived through its scenes. 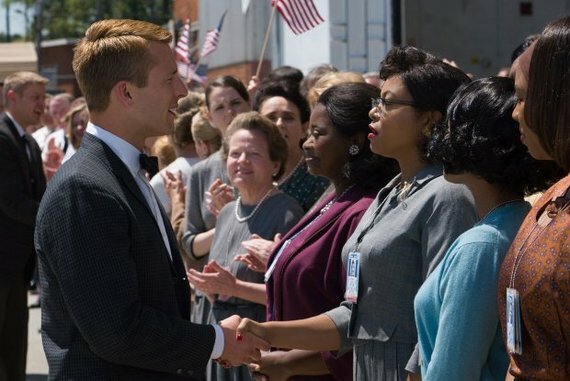 Directed by Theodore Melfi and written by Theodore Melf and Allison Schroeder, the Hidden Figures film depicts the real life struggles of three genius women Katherine Johnson (played by Taraji P. Henson), Dorothy Vaughan (played by Octavia Spencer) and Mary Jackson (played by Janelle Monáe), who were instrumental in launching astronaut John Glenn (played by Glen Powell) to space and changing the way NASA viewed the technical competence of African-American women. The film is set during a time where racial segregation, sexual segregation and educational segregation posed great hindrances to not only women, but especially to women of color. Through the character's struggles brilliantly portrayed in the 20th Century Fox film, the audience is cleverly hypnotized into fully understanding the racial challenges of three separate segregation stories interwoven into one uplifting plot. 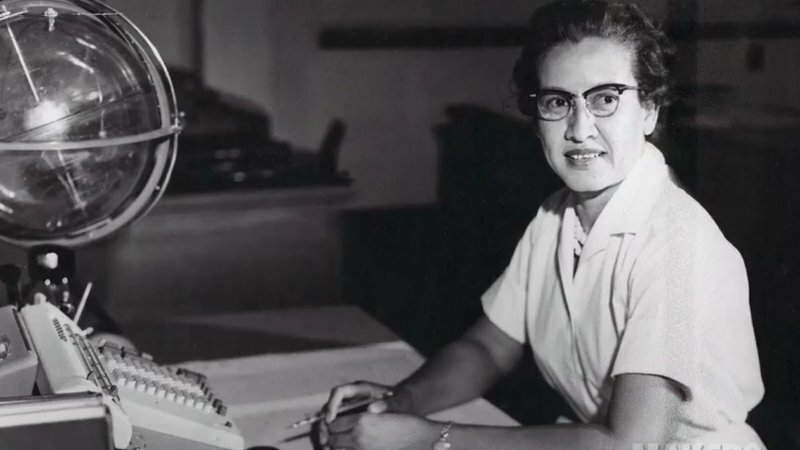 The film does an extraordinary job in honoring these three women who helped reenergized the world as the first African-American Science, Technology, Engineering and Mathematics (STEM) experts during the American Space Race in the specific year 1961. To add, the math in the film was accurately applied. Naturally, these aspects of the film are inspiring. However, some movie scenes left me unsettled. I am a young "hidden figure" who is choosing to be exposed. I helped build and launch NASA rockets through mathematical calculations as a rocket scientist for nearly ten years at a major aerospace company. I won many awards as a rocket scientist. 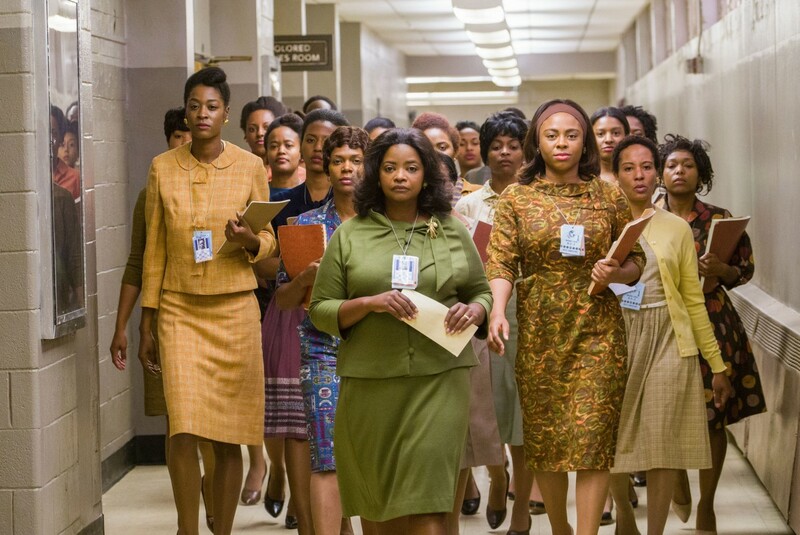 And Hidden Figures reintroduced a bit of shock to me. I was surprised that my experiences were almost identical to Katherine Johnson, Dorothy Vaughan, and Mary Jackson's stories. When I watched the struggles these ladies faced in the film, tears ran down my face. I intimately knew how they felt. Despite being a scientist nearly 40 years after these ladies' stories, I was brought back into time where my experiences were being reenacted in this film. Three personal experiences jumps from the screen onto this page. A moving scene in Hidden Figures surrounds a bathroom scene. Katherine Johnson is newly assigned to a work group with only white men, and the "colored ladies bathroom" is nearly a half mile away from her work station. She runs there, because no other colored women's restrooms are near. When she arrives, the restroom is her safe haven. It remains so until she is caught in the rain. She returns to her desk late and soaking wet. From her experience, her NASA boss, Al Harrison (played by Kevin Costner) makes a leadership move to passionately remove segregated restrooms from his NASA locations. My real life experience is very similar to the bathroom scene which happened nearly 20 years ago. When I was first hired as a rocket scientist, I received the best piece of advice in the ladies' bathroom. On my second day, this man (who later would become one of my biggest supporters and professional leads) walked passed me and his mouth dropped open. He looked at me puzzled. He began walking slowly around me as if I was a museum exhibit. I was new scientist, and I honestly did not know how to respond to his actions. He circled me again, never saying a word. He looked at me as if I was an alien from another planet. At the time, I was unaware that he was surprised that a woman had been hired into the engineering group. But soon after, I discovered he was one of the "supportive guys." Moments later, some of the administrative assistants in clerical roles, motioned for me to join them in the ladies' bathroom. They introduced themselves and told me that they were supporting me, because they were awaiting to see another female engineer. And they told me that whenever I am upset, never let the male engineers see me cry. When I asked why, they explained that a couple of the men would do anything to provoke emotion from some women. They needed reason to suggest giving a man the job instead of a woman. It was not everyone, but just a few men. These particular men would label the women as "too emotional to handle the work." These ladies encouraged me go to the ladies room whenever I felt emotional. There was a scene in the movie where Katherine Johnson is told that "there is no protocol for women to give technical briefings" by Paul Stafford (played by Jim Parsons). Yet through the support of her executive boss, she is invited into a boardroom to explain the last necessary calculations to successfully help the Friendship 7 mission land given its reentry trajectory. When she enters the room, men look at her in shock, because she is a young woman of color. Equally she looks like a deer caught in headlights, until she relies on her mathematical skills to calm her and prove her value on the NASA Friendship 7 program. As an expert, I would attend design briefings with over 200 men. I was lucky if I saw another woman in the room. And the most defining moment is when a program manager suggested that he present my work instead of me. Like in the movie, he said, "There is no protocol for a young woman like yourself to give these technical briefings." I said to this program manager, "There may not be a protocol. But I am fully prepared to give the presentation of my work that I have created within the last 6 months. I am the author of the work, no one else." He did not anticipate my response, and he miraculously agreed. I gave the presentation to 500 NASA officials. The mathematics gave me comfort as I presented. Later he thanked me for my presentation. And other engineers called me the "Engine News Reporter," because my presentations were the most organized anyone had ever seen. Through being the first African-American female at the age of 23 to give a NASA briefing of this type, I inspired other program managers to give opportunities to other young engineers. Katherine Johnson shakes John Glenn's hand in the movie Hidden Figures. All characters give a stunning performance in life-transforming scenes paired with well-placed soundtrack music produced by Benjamin Wallfisch, Pharrell Williams and Hans Zimmer. In the movie, Dorothy Vaughan oversees the calculation area despite not being a supervisor. She foresees that the new IBM machine will replace all her co-workers' jobs. Courageous, she learns a new programming skill and shares her knowledge within her group. Further, Mary Jackson realizes that in order to become the first African-American design engineer, she must petition a court to attend a segregated school for engineering classes. Al Harrison dismantles segregation activities in his offices to promote team knowledge. And Jon Glenn stands up for Katherine in making sure she returns to the program. I will always thank my manager Steve for helping me be courageous during that time. He told me that terrible things may happen in life, but I show my strength by how I respond. He said that I was at the company for a powerful reason. And it was my job to keep my head focused on the science. And my work will always speak for itself. He did everything he could to provide access to higher training for me. And I will always be thankful for Steve's executive mentoring. Although I had to repaint my entire car and be escorted at nights, I realized that sometimes we must go through challenging situations to become the leaders we wish to become. With Steve's leadership and support, I later channeled my emotions into producing life-changing science that changed how NASA views System Safety and Reliability practices. This work later landed me into a new leadership role where I supported Mission Control during Space Shuttle launches. It was in that room where I was helped launch my dear friend, retired NASA astronaut Robert Curbeam to space, who flew John Glenn on his last mission to space. Sometimes life comes back around in a full circle. In conclusion, I highly encourage audiences to watch Hidden Figuress. Taraji P. Henson, Octavia Spencer, Janelle Monáe, Jim Parsons and Kevin Costner all give phenomenal performances. They honor the women who made my career as a rocket scientist possible. 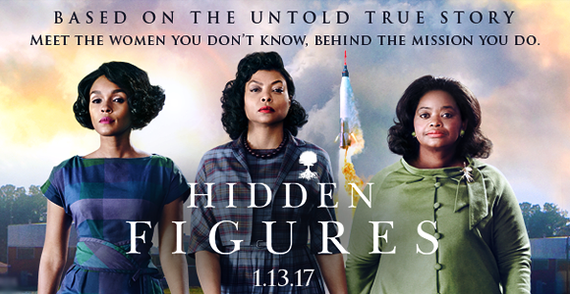 I honor Katherine Johnson, Dorothy Vaughan and Mary Jackson's courageous life stories, and I am thrilled that this film was made.